Need new apps for your favorite device? 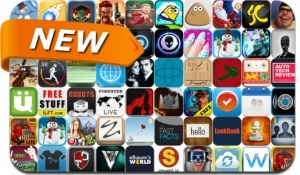 Here are 69 iPhone, iPad and iPod touch apps that just hit the App Store. This new apps alert includes Earn to Die, A Snowman Maker, Arcane Legends, MineCreator Skins Deluxe for Minecraft, Snow Doodle, Magic Orbz, Infinity Run 3D, Music Mixer, Slender Man!, Elasticam, Vitrum Browser and many others.